Not to be confused with information theory, data science, library science, information systems (discipline), or informatics. 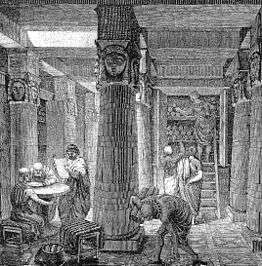 The Ancient Library of Alexandria, an early form of information storage and retrieval. Information science is an interdisciplinary field primarily concerned with the analysis, collection, classification, manipulation, storage, retrieval, movement, dissemination, and protection of information. Practitioners within the field study the application and usage of knowledge in organizations, along with the interaction between people, organizations and any existing information systems, with the aim of creating, replacing, improving, or understanding information systems. Information science is often (mistakenly) considered a branch of computer science; however, it predates computer science and is a broad, interdisciplinary field, incorporating not only aspects of computer science, but often diverse fields such as archival science, cognitive science, commerce, communications, law, library science, museology, management, mathematics, philosophy, public policy, and the social sciences. Information science focuses on understanding problems from the perspective of the stakeholders involved and then applying information and other technologies as needed. In other words, it tackles systemic problems first rather than individual pieces of technology within that system. In this respect, one can see information science as a response to technological determinism, the belief that technology "develops by its own laws, that it realizes its own potential, limited only by the material resources available and the creativity of its developers. It must therefore be regarded as an autonomous system controlling and ultimately permeating all other subsystems of society." Many universities have entire colleges, departments or schools devoted to the study of information science, while numerous information-science scholars work in disciplines such as communication, computer science, law, library science, and sociology. Several institutions have formed an I-School Caucus (see List of I-Schools), but numerous others besides these also have comprehensive information foci. "Information science is that discipline that investigates the properties and behavior of information, the forces governing the flow of information, and the means of processing information for optimum accessibility and usability. It is concerned with that body of knowledge relating to the origination, collection, organization, storage, retrieval, interpretation, transmission, transformation, and utilization of information. This includes the investigation of information representations in both natural and artificial systems, the use of codes for efficient message transmission, and the study of information processing devices and techniques such as computers and their programming systems. It is an interdisciplinary science derived from and related to such fields as mathematics, logic, linguistics, psychology, computer technology, operations research, the graphic arts, communications, library science, management, and other similar fields. It has both a pure science component, which inquires into the subject without regard to its application, and an applied science component, which develops services and products." (Borko, 1968, p.3). Some authors use informatics as a synonym for information science. This is especially true when related to the concept developed by A. I. Mikhailov and other Soviet authors in the mid-1960s. The Mikhailov school saw informatics as a discipline related to the study of scientific information. Informatics is difficult to precisely define because of the rapidly evolving and interdisciplinary nature of the field. Definitions reliant on the nature of the tools used for deriving meaningful information from data are emerging in Informatics academic programs. Another term discussed as a synonym for "information studies" is "information systems". Brian Campbell Vickery's Information Systems (1973) places information systems within IS. Ellis, Allen, & Wilson (1999), on the other hand, provide a bibliometric investigation describing the relation between two different fields: "information science" and "information systems". Philosophy of information (PI) studies conceptual issues arising at the intersection of computer science, information technology, and philosophy. It includes the investigation of the conceptual nature and basic principles of information, including its dynamics, utilisation and sciences, as well as the elaboration and application of information-theoretic and computational methodologies to its philosophical problems. In computer science and information science, an ontology formally represents knowledge as a set of concepts within a domain, and the relationships between those concepts. It can be used to reason about the entities within that domain and may be used to describe the domain. More specifically, an ontology is a model for describing the world that consists of a set of types, properties, and relationship types. Exactly what is provided around these varies, but they are the essentials of an ontology. There is also generally an expectation that there be a close resemblance between the real world and the features of the model in an ontology. An information scientist is an individual, usually with a relevant subject degree or high level of subject knowledge, providing focused information to scientific and technical research staff in industry, a role quite distinct from and complementary to that of a librarian. The title also applies to an individual carrying out research in information science. An information professional is an individual who preserves, organizes, and disseminates information. Information professionals are skilled in the organization and retrieval of recorded knowledge. Traditionally, their work has been with print materials, but these skills are being increasingly used with electronic, visual, audio, and digital materials. Information professionals work in a variety of public, private, non-profit, and academic institutions. Information professionals can also be found within organisational and industrial contexts. Performing roles that include system design and development and system analysis. 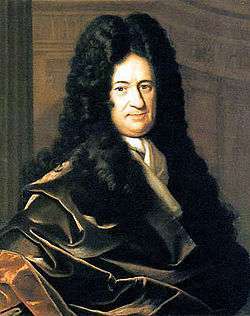 The institutionalization of science occurred throughout the 18th Century. In 1731, Benjamin Franklin established the Library Company of Philadelphia, the first library owned by a group of public citizens, which quickly expanded beyond the realm of books and became a center of scientific experiment, and which hosted public exhibitions of scientific experiments. Benjamin Franklin invested a town in Massachusetts with a collection of books that the town voted to make available to all free of charge, forming the first Public Library. Academie de Chirurgia (Paris) published Memoires pour les Chirurgiens, generally considered to be the first medical journal, in 1736. The American Philosophical Society, patterned on the Royal Society (London), was founded in Philadelphia in 1743. 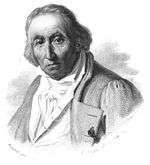 As numerous other scientific journals and societies were founded, Alois Senefelder developed the concept of lithography for use in mass printing work in Germany in 1796. Documentalists emphasized the utilitarian integration of technology and technique toward specific social goals. According to Ronald Day, "As an organized system of techniques and technologies, documentation was understood as a player in the historical development of global organization in modernity – indeed, a major player inasmuch as that organization was dependent on the organization and transmission of information." Otlet and Lafontaine (who won the Nobel Prize in 1913) not only envisioned later technical innovations but also projected a global vision for information and information technologies that speaks directly to postwar visions of a global "information society". Otlet and Lafontaine established numerous organizations dedicated to standardization, bibliography, international associations, and consequently, international cooperation. 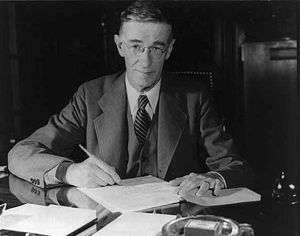 These organizations were fundamental for ensuring international production in commerce, information, communication and modern economic development, and they later found their global form in such institutions as the League of Nations and the United Nations. Otlet designed the Universal Decimal Classification, based on Melville Dewey’s decimal classification system. Dissemination has historically been interpreted as unilateral communication of information. With the advent of the internet, and the explosion in popularity of online communities, "social media has changed the information landscape in many respects, and creates both new modes of communication and new types of information", changing the interpretation of the definition of dissemination. The nature of social networks allows for faster diffusion of information than through organizational sources. The internet has changed the way we view, use, create, and store information, now it is time to re-evaluate the way we share and spread it. Social media networks provide an open information environment for the mass of people who have limited time or access to traditional outlets of information diffusion, this is an "increasingly mobile and social world [that] demands...new types of information skills". Social media integration as an access point is a very useful and mutually beneficial tool for users and providers. All major news providers have visibility and an access point through networks such as Facebook and Twitter maximizing their breadth of audience. Through social media people are directed to, or provided with, information by people they know. The ability to "share, like, and comment on...content" increases the reach farther and wider than traditional methods. People like to interact with information, they enjoy including the people they know in their circle of knowledge. Sharing through social media has become so influential that publishers must "play nice" if they desire to succeed. Although, it is often mutually beneficial for publishers and Facebook to "share, promote and uncover new content" to improve both user base experiences. The impact of popular opinion can spread in unimaginable ways. Social media allows interaction through simple to learn and access tools; The Wall Street Journal offers an app through Facebook, and The Washington Post goes a step further and offers an independent social app that was downloaded by 19.5 million users in 6 months, proving how interested people are in the new way of being provided information. The connections and networks sustained through social media help information providers learn what is important to people. The connections people have throughout the world enable the exchange of information at an unprecedented rate. It is for this reason that these networks have been realized for the potential they provide. "Most news media monitor Twitter for breaking news", as well as news anchors frequently request the audience to tweet pictures of events. The users and viewers of the shared information have earned "opinion-making and agenda-setting power" This channel has been recognized for the usefulness of providing targeted information based on public demand. This graph shows links between Wikipedia articles. Information science includes studying how topics relate to each other, and how readers relate concepts to each other. The following areas are some of those that information science investigates and develops. Information access is an area of research at the intersection of Informatics, Information Science, Information Security, Language Technology, Computer Science, and Library Science. The objectives of information access research are to automate the processing of large and unwieldy amounts of information and to simplify users' access to it. Applicable technologies include information retrieval, text mining, machine translation, and text categorisation. In discussion, information access is often defined as concerning the insurance of free and closed access to information and is brought up in discussions on copyright, patent law, and public domain. Information architecture (IA) is the art and science of organizing and labelling websites, intranets, online communities and software to support usability. It is an emerging discipline and community of practice focused on bringing together principles of design and architecture to the digital landscape. Typically it involves a model or concept of information which is used and applied to activities that require explicit details of complex information systems. These activities include library systems and database development. Information management (IM) is the collection and management of information from one or more sources and the distribution of that information to one or more audiences. This sometimes involves those who have a stake in, or a right to that information. Management means the organization of and control over the structure, processing and delivery of information. Throughout the 1970s this was largely limited to files, file maintenance, and the life cycle management of paper-based files, other media and records. With the proliferation of information technology starting in the 1970s, the job of information management took on a new light and also began to include the field of data maintenance. Information retrieval (IR) is the area of study concerned with searching for documents, for information within documents, and for metadata about documents, as well as that of searching structured storage, relational databases, and the World Wide Web. Automated information retrieval systems are used to reduce what has been called "information overload". Many universities and public libraries use IR systems to provide access to books, journals and other documents. Web search engines are the most visible IR applications. An object is an entity that is represented by information in a database. User queries are matched against the database information. Depending on the application the data objects may be, for example, text documents, images, audio, mind maps or videos. Often the documents themselves are not kept or stored directly in the IR system, but are instead represented in the system by document surrogates or metadata. Most IR systems compute a numeric score on how well each object in the database match the query, and rank the objects according to this value. The top ranking objects are then shown to the user. The process may then be iterated if the user wishes to refine the query. Information seeking is the process or activity of attempting to obtain information in both human and technological contexts. Information seeking is related to, but different from, information retrieval (IR). Much library and information science (LIS) research has focused on the information-seeking practices of practitioners within various fields of professional work. Studies have been carried out into the information-seeking behaviors of librarians, academics, medical professionals, engineers and lawyers (among others). Much of this research has drawn on the work done by Leckie, Pettigrew (now Fisher) and Sylvain, who in 1996 conducted an extensive review of the LIS literature (as well as the literature of other academic fields) on professionals' information seeking. The authors proposed an analytic model of professionals' information seeking behaviour, intended to be generalizable across the professions, thus providing a platform for future research in the area. The model was intended to "prompt new insights... and give rise to more refined and applicable theories of information seeking" (1996, p. 188). The model has been adapted by Wilkinson (2001) who proposes a model of the information seeking of lawyers. An information society is a society where the creation, distribution, diffusion, uses, integration and manipulation of information is a significant economic, political, and cultural activity. The aim of an information society is to gain competitive advantage internationally, through using IT in a creative and productive way. The knowledge economy is its economic counterpart, whereby wealth is created through the economic exploitation of understanding. People who have the means to partake in this form of society are sometimes called digital citizens. Basically, an information society is the means of getting information from one place to another (Wark, 1997, p. 22). As technology has become more advanced over time so too has the way we have adapted in sharing this information with each other. Information society theory discusses the role of information and information technology in society, the question of which key concepts should be used for characterizing contemporary society, and how to define such concepts. It has become a specific branch of contemporary sociology. Knowledge representation (KR) is an area of artificial intelligence research aimed at representing knowledge in symbols to facilitate inferencing from those knowledge elements, creating new elements of knowledge. The KR can be made to be independent of the underlying knowledge model or knowledge base system (KBS) such as a semantic network. Knowledge Representation (KR) research involves analysis of how to reason accurately and effectively and how best to use a set of symbols to represent a set of facts within a knowledge domain. A symbol vocabulary and a system of logic are combined to enable inferences about elements in the KR to create new KR sentences. Logic is used to supply formal semantics of how reasoning functions should be applied to the symbols in the KR system. Logic is also used to define how operators can process and reshape the knowledge. Examples of operators and operations include, negation, conjunction, adverbs, adjectives, quantifiers and modal operators. The logic is interpretation theory. These elements—symbols, operators, and interpretation theory—are what give sequences of symbols meaning within a KR. ↑ "Web Dictionary of Cybernetics and Systems: Technological Determinism". Principia Cibernetica Web. Retrieved 2011-11-28. ↑ Borko, H. (1968). Information science: What is it? American Documentation 19(1), 3¬5. ↑ Mikhailov, A.I. ; Chernyl, A.I. ; Gilyarevskii, R.S. (1966). "Informatika – novoe nazvanie teorii naučnoj informacii". Naučno tehničeskaja informacija. 12: 35–39. ↑ Texas Woman's University (2015). "Informatics". ↑ Luciano Floridi, "What is the Philosophy of Information? ", Metaphilosophy, 2002, (33), 1/2. ↑ Garshol, L. M. (2004). "Metadata? Thesauri? Taxonomies? Topic Maps! Making sense of it all". Retrieved 13 October 2008. ↑ Gruber, Thomas R. (June 1993). "A translation approach to portable ontology specifications" (PDF). Knowledge Acquisition. 5 (2): 199–220. doi:10.1006/knac.1993.1008. ↑ Arvidsson, F.; Flycht-Eriksson, A. "Ontologies I" (PDF). Retrieved 26 November 2008. ↑ "Town of Franklin - History of the Franklin Public Library". Franklinma.virtualtownhall.net. 2010-06-29. Retrieved 2011-05-28. 1 2 Emard, J. P. (1976). "An information science chronology in perspective". Bulletin of the American Society for Information Science. 2 (8): 51–56. ↑ Smith, E. S. (1993). "On the shoulders of giants: From Boole to Shannon to Taube: The origins and development of computerized information from the mid-19th century to the present". Information Technology and Libraries. 12 (2): 217–226. ↑ Skolnik, H (1976). "Milestones in chemical information science: Award symposium on contributions of the Division of Chemical Literature (Information) to the Chemical Society". Journal of Chemical Information and Computer Science. 16 (4): 187–193. doi:10.1021/ci60008a001. ↑ Adkinson, B. W. (1976). "Federal government's support of information activities: A historical sketch". Bulletin of the American Society for Information Science. 2 (8): 24–26. ↑ Rayward, W. B. (1994). International federation for information and documentation. In W. A. Wiegand, & D. G. David Jr. (Eds. ), The encyclopedia of library history (pp. 290–294). New York: Garland Publishing, Inc.
↑ "ASIST History". Asis.org. 1968-01-01. Retrieved 2011-05-28. 1 2 Miller, R (2012). "Social media, authentic learning and embedded librarianship: a case study of dietetics students". Journal of Information Literacy. 6 (2): 97–109. doi:10.11645/6.2.1718. ↑ Morville, Peter; Rosenfeld, Louis (2006). Information Architecture for the World Wide Web. O'Reilly Media, Inc. ISBN 978-0-596-52734-1. ↑ Goodrum, Abby A. (2000). "Image Information Retrieval: An Overview of Current Research". Informing Science. 3 (2). ↑ Foote, Jonathan (1999). "An overview of audio information retrieval". Multimedia Systems. Springer. 7: 2–10. doi:10.1007/s005300050106. ↑ Frakes, William B. (1992). Information Retrieval Data Structures & Algorithms. Prentice-Hall, Inc. ISBN 0-13-463837-9. ↑ Brown, C. M.; Ortega, L. (2007). "Information seeking behaviour of physical science librarians: Does research inform practice". College & Research Libraries. 66 (3): 231–247. ↑ Hemminger, B. M.; Lu, D.; Vaughan, K. T. L.; Adams, S. J. (2007). "Information seeking behaviour of academic scientists". Journal of the American Society for Information Science and Technology. 58 (14): 2205–2225. doi:10.1002/asi.20686. ↑ Davies, K.; Harrison, J. (2007). "The information-seeking behaviour of doctors: A review of the evidence". Health Information & Libraries Journal. 2: 78–94. doi:10.1111/j.1471-1842.2007.00713.x. ↑ Robinson, M. A. (2010). "An empirical analysis of engineers' information behaviors". Journal of the American Society for Information Science and Technology. 61 (4): 640–658. doi:10.1002/asi.21290. ↑ Kuhlthau, C. C.; Tama, S. L. (2001). "Information search process of lawyers: A call for 'just for me' information services". Journal of Documentation. 57 (1): 25–43. doi:10.1108/EUM0000000007076. Look up information science in Wiktionary, the free dictionary.